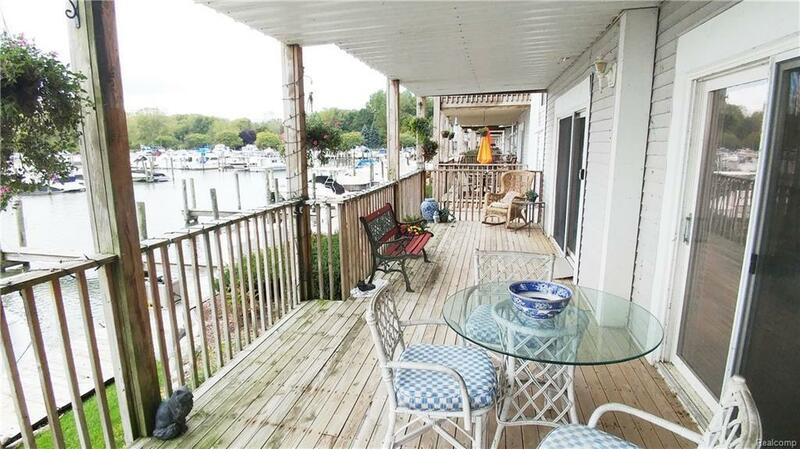 This first floor, end unit Harbor Club North Condo is a boaters dream! Private ramp for this unit and amazing lake views from every room. Two bedrooms and two full baths, fireplace, furnace, a/c and hot water have recently been replaced. South facing forty foot deck overlooking sail and motor boat wells. Private clubhouse with banquet room, kitchen, workout area, heated pool and sauna.